Family | Sam L. Amirante & Associates P.C. 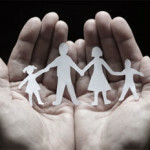 Family law and divorce conflicts can be very stressful and emotional for everyone involved. 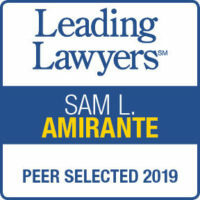 Our attorneys at Sam L. Amirante & Associates, P.C. understand this, so we work diligently to protect your legal and financial interests during this difficult period. Family law conflicts can come up in a variety of situations, including divorce, visitation disputes (such as enforcement and modification of visitation), custody disputes, maintenance, child support, and protective orders. Regardless of your family law issue, we are prepared to help you achieve the best possible outcome in your case. We are skilled and qualified to negotiate in all types of family law conflicts to try to minimize the emotional and financial expense for our clients. However, if settlements or agreements are inappropriate or impossible to reach, we are experienced litigators who are prepared to firmly and aggressively advocate for you in court.